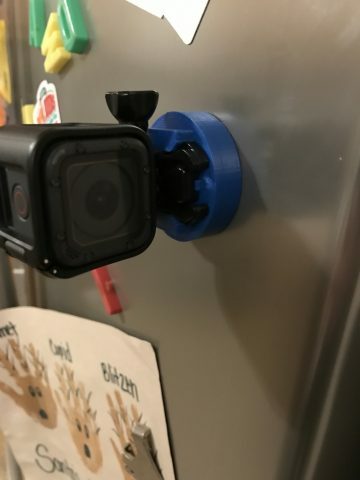 GoPro Quick Release Magnet base #3DPrinting #3DThursday « Adafruit Industries – Makers, hackers, artists, designers and engineers! Magnetic base and/or smallish tabletop stand for GoPro. Domed the underside of the void to minimize necessary post processing due to stringing, and to give additional volume for excess epoxy when installing magnets.